The New Core Generation Comes with a new Family in Rhomb. I Ecosystem, the DRAM Module, following the requirements of rhomb.io system. We have designed under Jedec Specifictaions, the DRAM Module DDR4, to meet the needs with small devices. 60% less space than standard SO-DIM modules, less power consumption, mechanical connectivity up to 50GBPS, fast remove and strong integrity. The DRAM Module is built in DDR4 2400Mhz with two configurations 4Gb and 8Gb. The mechanical design with a Specific DOC designed by rhomb.io Team allows the flexibility and the strong connectivity. Because the user need to have the posibility to upgrade. in a small size 45mm x 15.3mm and 3.5/4mm thickness. Designed to fit in a mechanical Socket that blocks and warranty the conectivity. The Mechanical Socket is always provided with the Core. As you can see in the below images the socket is fixed on the top of the core and alows be assembled on it. 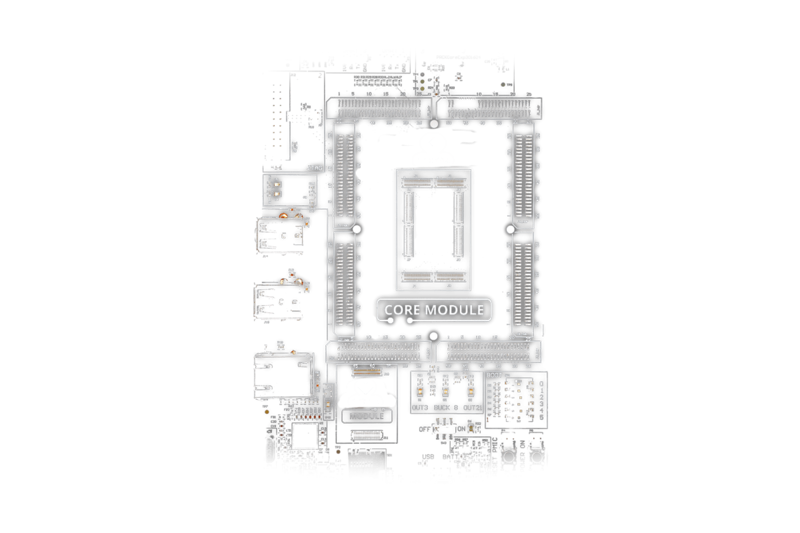 This Module was designed to alow the possibility to upgrade the RAM when the user need it.